The Green Tree Garden Club is an educational, charitable service organization dedicated to the development of gardening, the betterment and beautification of the Green Tree community, and the exchange of gardening ideas and knowledge among its members. Meetings are typically held on the second Thursday of each month in the Carlisle Social Hall, 825 Poplar Street. Lunch, provided by the club, is served at 11:00 a.m., followed by the meeting at noon and a program at 12:30 p.m. There is no charge and a reservation is not needed. Guests are welcome to attend the program only or the entire event. The Green Tree Garden Club meets year round (except January), giving members opportunities to participate in programs and trips over the summer months when so much is in bloom! The members are from Green Tree Borough and surrounding neighborhoods. Guests are always welcome to attend the Club programs; those with a love of gardening are encouraged to join. Annual dues are $15. Please note that as a requirement of membership, all are expected to participate in supporting the activities of the organization. 825 Poplar Street, unless otherwise indicated. “All About Orchids,” by Gary Baranowski, Director, and students of the Horticultural Technology Program at Bidwell Training Center. “Bullies in Our Landscapes,” by Susan Salis, Master Gardener and Phipps Conservancy Docent. “Battling Bambi,” Doug Oster, author and TV/radio show host. “Attracting Monarch Butterflies to Your Garden,” by Portia Holliday, member of the Green Tree Garden Club. This meeting and presentation will be held in the Green Tree Municipal Center at 10 West Manilla Avenue. Potluck picnic and Public Works recognition. Green Tree Municipal Center Park, 10 West Manilla Avenue. “How to Have Healthy Houseplants,” a Master Gardener from Penn State Extension. “Growing Figs in Your Garden of Eden,” Pat Morgan, Master Gardener from Penn State Extension. “Holiday Craft,” Cheryl Bakin, Parkway Florist, Inc.
Holiday party at the Grand Concourse in Station Square (reservation required). Reservations are required for field trips, and guests pay a modest fee for transportation. In most cases attendees pay for their own lunches. Transportation is via bus or carpool. Contact Karen Maurer at 412-922-8816. Kentuck Knob, Chalk Hill, PA, by bus with box lunch. Pittsburgh Botanic Garden, Oakdale, PA, by car pool with lunch at the site. 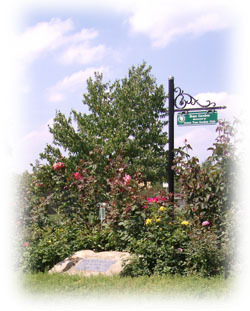 Renziehausen Park Rose Garden, McKeesport, PA, by car pool with lunch (an English tea) served by the Garden Club of McKeesport. the "Spring 'n Things Sale" in May. This includes a plant sale, flea market, bake sale, basket raffle, and craft sale. 2019 date for Spring 'N Things is Saturday, May 11 from 9:00 a.m. to 1:00 p.m. in the Carlisle Social Hall of the Green Tree Fire Hall. *The cost of an Enjoy Book is $30.00. Please contact Phyllis Abinanti at 412-922-1797 or any Club member to purchase this valuable book. support for local bird and garden societies. at the Municipal Center Park. 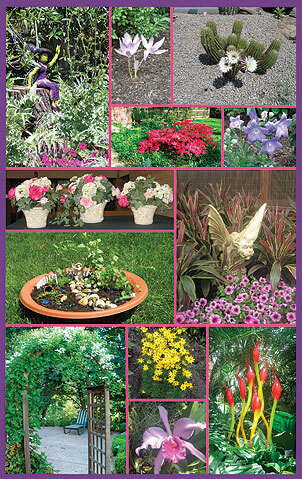 For further information about the Green Tree Garden Club, call Phyllis Abinanti at 412-922-1797.